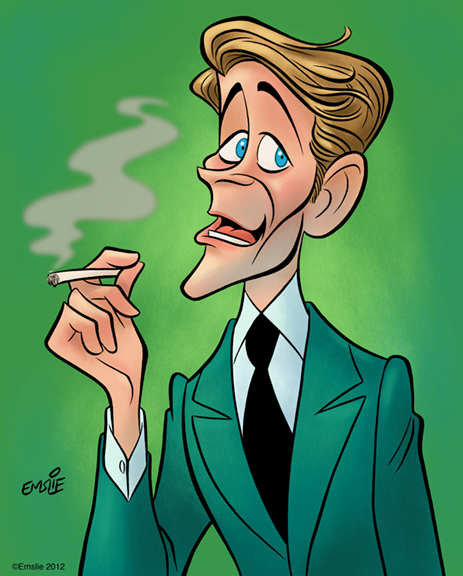 The Cartoon Cave: Happy 80th Birthday, Peter O'Toole! Oh, man, that's a @£*%# good caricature !!! Peter O'Toole is not that easy and yours is GREAAAAT. Thanks Maester! You're a terrific caricaturist yourself, so I'll bet you'd be able to get his likeness well too. My favourite Peter O'Toole role was in 'Creator'. Perhaps that may also have had something to do with his love interest, Mariel Hemingway. I also really enjoyed 'My Favorite Year'. He's probably the best film actor never to have won an Oscar. Peter has done some remarkable work during his days in front of the camera. Nice caricature too! An obscure film Peter tried to burn all copies of, COLLOSUS AND THE AMAZON QUEEN, benefits greatly from his playful acting. CATAQ's chopped up public domain USA version's only a shadow of the original now available from German suppliers in PAL format: the latter has good color, decent sound and is full length with animated titles. Unfortunately, restoring the film introduced Italian-only excerpts bridging the English dubbed sections (there are no subtitles).